If you like to watch the looping, loopy videos on the Vine app, we have some good new for you. Starting today, Vine has upped the resolution of the six-second videos that it plays over and over again to 720p from the previous 480p. If you have an iPhone, the new HD resolution will show up in videos that you upload and ones that you watch. Android users will be able to view videos in the higher resolution, but will not be able to upload video in the new resolution right now. But Vine promises that it will eventually send out the update necessary for Android users to take advantage of the higher resolution when uploading video. By raising the resolution of videos uploaded to the site, it will allow Vine users with an action camera to post some exciting videos in HD. And yes, you can certainly tell the difference between video shot in 480p and those shot in 720p. It isn't clear whether the higher resolution will carry over to the Vine Kids app, which is a version of Vine designed for the little ones. 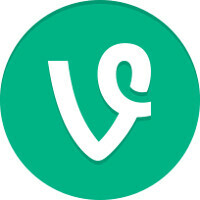 Vine says that the update will be rolling out in the next few days for both iOS and Android users. When you see the difference in detail on your phone or tablet, you'll be glad that Twitter decided to do this. lmao, it didnt support 720p previously? HAHAHAHAHA! I've been doing that. I just record it on my iPhone 6 in 60fps then upload it on Vine lol, easy. When 70% of your market is 'low end' people in the 100$ sector of phones are not looking to spend 80bucks on the next game for gems etc. But if you just spent 800$, you are sending a signal you have more cash to throw around. Makes sense in mass, but not perfect for individual tastes. I would break that mold slightly as well as probably many android users here, but then again we dont make up the bulk of users either.